As they say prevention is better than cure, and the health forum below emphasize on the importance of working out. 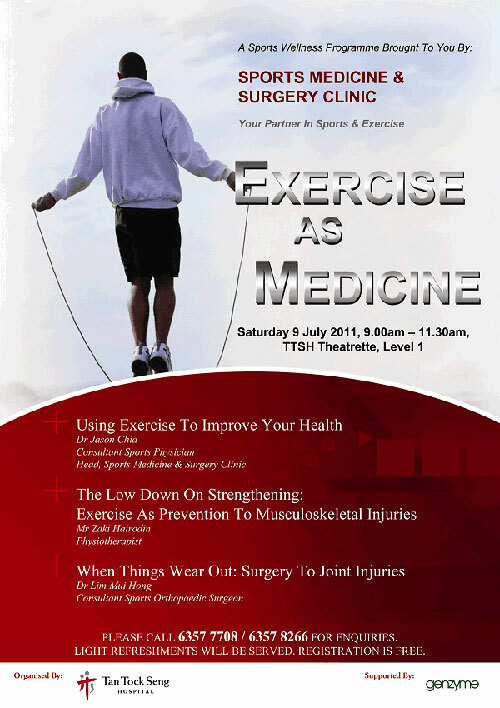 Aptly title ‘Exercise as Medicine’ this clinic organised by Tan Tock Seng Hospital will enrich your knowledge in pursuing a healthy active lifestyle. Contact details to sign-up at the poster below .